and sometimes it's more settled. Oh well: I couldn't resist the DIY's itch! Fully detailed tutorial after the jump! you can cut it with scissors! and then used clear paint for the finished coat and to seal the wood beads. Although I'm not usually a big fan of glued things onto my garments, I didn't have a choice. I tried to drill small holes into the wood beads, but the wood it's too thin and splits. I placed my shirt onto my cutting mat, in order to have the exact center of the shirt and to prevent the glue to run on the other side of the shirt. 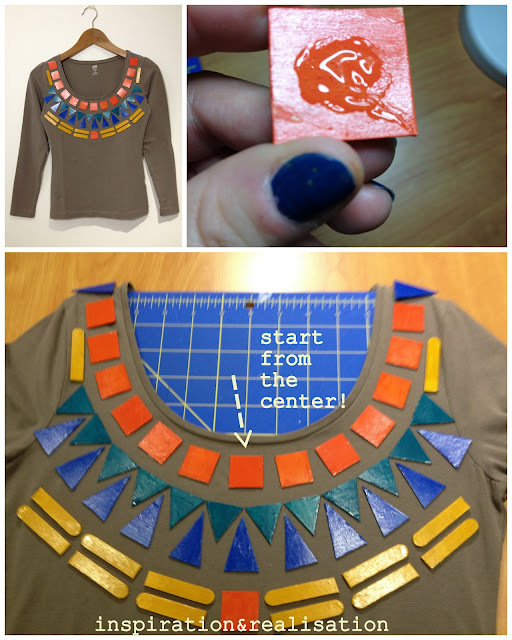 and then, always starting from the center of the shirt toward the sides, applied some fabric glue in the middle of the wood bead and place it firmly on the shirt. 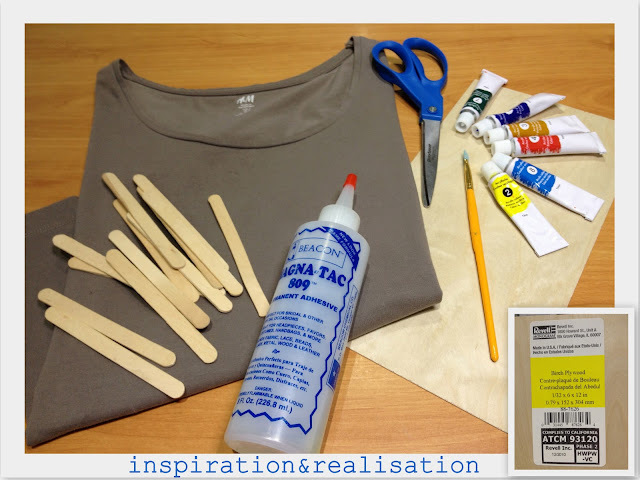 ...Allow to dry (fabric glue dries very quickly!) and wear! I will hand wash it, will not leave it soaking in the water, tho. fabric glue is strong and the ears won't come off, and i was careful to put enough coating with clear paint to protect the wood. Cool...I loved this shirt at Burberry...but I am not sure if I can carry the DIY version off well..Also how about substituting leather pieces for wood? If you used leather, which btw would be very cute, you would probably have to have it dry cleaned by a reputable cleaner who knows how to handle leather. This is fantastic! 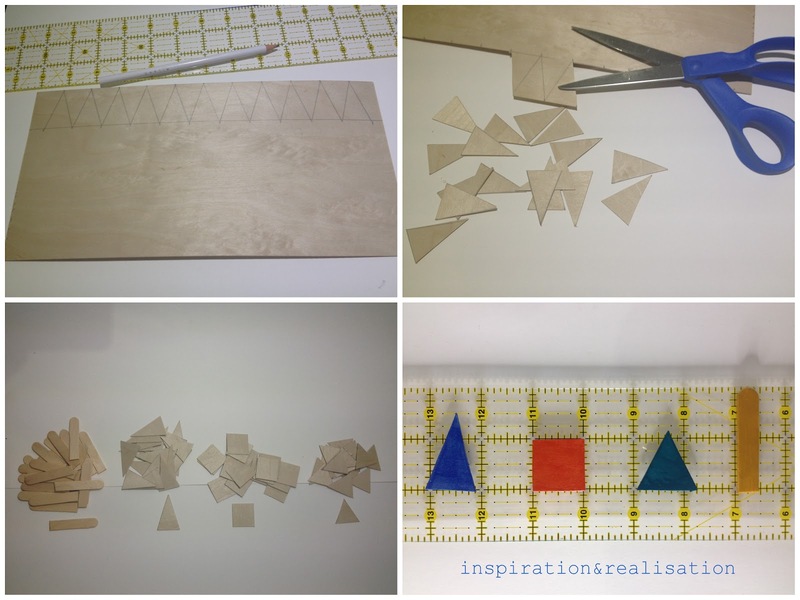 I saw a DIY version of this using those using the geometric wood shapes (like the ones kids play with in kindergarten) , but I like this version much better. la tua versione è bellissima! è bello vedere come ognuno che ha riprodotto questa tee ha trovato modi diversi per farlo! Very nice "project". I love it! 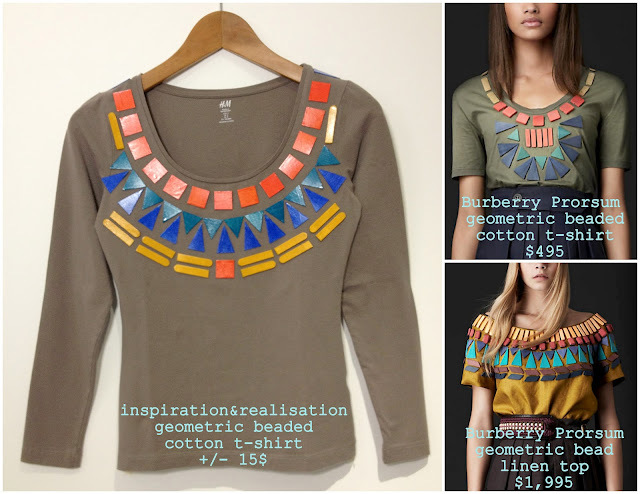 Hi Donatella, just wanted to let you know that I've put a link on my blog to your DIY burberry T-shirt. I did not use any of your pictures or posts. Just wanted people to know that your tutorial is much better than the one in the Burda Style June 2012 issue. If you want me to remove the reference on my post to your blog, please let me know. the post will be up from tomorrow afternoon. wow! thank you! feel free to use one or two pictures if you like! Oh! Woooow! I'm absolutely amazed! Burberry Prorsum's collection for this season is incredible, so inspiring. I did a similar project but I finally found wooden beads and bought them. Your DIY looks much closer to the original, it's wonderful. It must have taken you a lot of time. I'm so happy for having found your blog, thanks to your comment. Of course I'm following you from now. Hi Sylvia ! Thanks so much for all your compliments! how do you wash it ? How do you cut the popsicle sticks? You know, I'm thinking if you made this as a bib style necklace, you wouldn't have to worry so much about wearing it and could wear it with a lot of things. I really like the idea of making this as a necklace. I would like to know if the tee shirt conforms to the curves of the body and how to keep the jewels from making bulging straight lines.